Bridgeway Academy is a Christian company offering accredited courses to homeschool families across the globe. They have been a trusted homeschooling academy since 1989. All of their courses meet state and national accreditation standards. Bridgeway's goal is to provide families with everything they need to provide their children with the best homeschool education available. Bridgeway Academy offers a wide range of classes which can be customized to fit your child's specific needs. For the last 7 weeks we have been having a blast with our Magic Tree House Social Studies - The Middle Ages Learning Lab class. Our certified instructor was Kathi Thomas. This particular class was geared towards children in grades 1st - 5th. Gwyn my 7 year old was the primary reviewer for this class though my 6 year old son did sit in from time to time as well. 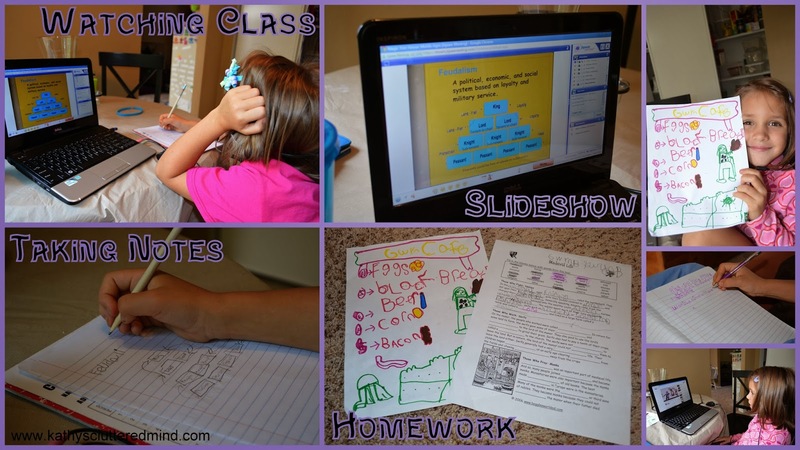 There is so much to tell you about this homeschool program so I am going to break the review down into a few categories to make it easier to cover everything. In this particular class we joined Jack and Annie (Magic Tree House characters) and traveled back in time to visit with kings, queens, lords and ladies, knights and squires. We learned so much from this class. 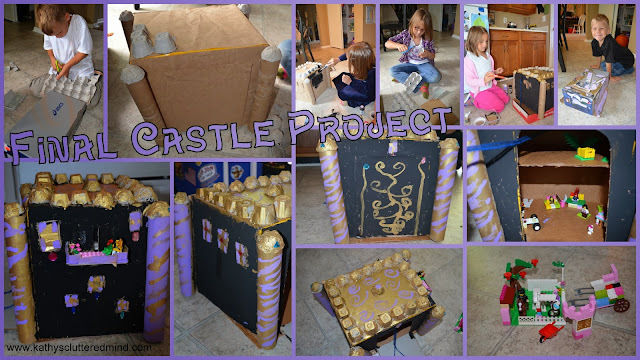 We learned about when the Middle Ages took place as well as other key events (which we were able to fill in on our timeline), the people of the Middle Ages and their lifestyles, law and order, castle structures and more. Our class was moving a little slower than anticipated (probably due to the young age group) so Ms. Thomas did have to adjust our syllabus however the slight adjustment did not make a difference in the overall class quality. Ms. Thomas did a fabulous job of adapting her teaching to fit the variety of ages that were in the classroom (5 yrs old - 10 yrs old). She moved at just the right pace so she kept the children engaged and focused. She constantly encouraged the children to participate and encouraged them at all times (even when they had a wrong answer). Ms. Thomas also did a great job of corresponding with us via email. Each week she would send class log-in information, homework assignment updates and helpful tips, recorded video alerts and as needed class updates. She also was available via phone or email to answer any questions! 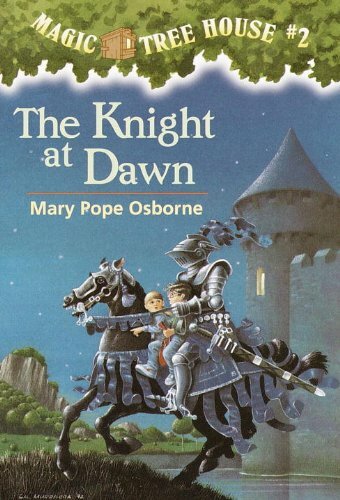 The children's first homework assignment was to read Magic Tree House, Knight at Dawn which would help them prepare for the overall class. The book is used as a spring board to get the children excited about the Middle Ages. Almost very week there is a short homework assignment that took about 1/2 hour to complete. There is also a final project which is presented on the very last week of class. The homework was very age appropriate and on just about every assignment children had a few different options to choose from. Some of the assignments included identifying what kind of food villeins eat, making a medieval menu, vocabulary fill in the blank, identifying land uses and more. The Learning Labs are basically like an online co-op. The classes are 45 minutes - 1 hour which was the perfect short attention spans. Here is Gwyn's final project which she will be presenting tomorrow (via webcam) to the class. My children are very familiar with online course platforms so they had no issues adjusting to the Jigsaw Meeting program. We attended the open house a few days before the class so we could become familiar with the program. It was not mandatory that we attended and I am not sure if this is offered for every single class. But I definitely think it should be mandatory that you attend an open house prior to the first class or at least watch a recording. So much of our first class was spent going over the Jigsaw Format that it cut into our learning time. Gwyn was very bored during the first class since we had prepared in advance so I had to encourage her and keep reiterating that other classes would not be like that. When you log into Jigsaw Meeting there is an option to test your PC settings to make sure all programs and device connections are correct before starting a class. For some reason I could only get our microphone to work in Chrome. For the class your computer does require a few specific items like Java, Flash, a webcam, microphone and good internet connection. A headset is also handy to avoid household distractions. One improvement I would like to see with Jigsaw Meeting is mobile compatibility. We are a very on the go family and there were a few classes we missed due to previous scheduled engagements. I was able to get the class to load on both my phone and tablet however we were unable to interact in anyway (not even typing because the virtual keyboard wouldn't come up). Gwyn was still able to listen and since each class is recorded we were able to easily go back and watch the class presentation, download the homework, watch the shared videos, etc. Jigsaw Meeting did have a few different aspects which were new to my children. With Jigsaw the children were able to interact with the teacher and other children via webcam and microphone. Gwyn thought this was fabulous. With the other online classes we take we can only interact via chat boxes and polls. This is the main log in screen. Each week the class will pop up and when you are able to log in you will see a "Join Meeting" button. Class information such as date, time and number of students enrolled is also shown. You can also click on the "Past Meetings" tab to view previous class recordings. The classroom is set up very easy to use. In the top left corner (black box) is where the certified teacher (or students if allowed webcam access) show up. To right of that is where class presentation (slideshow) and additional documents will be. And to the right of that you can see a list of the attendees. In the bottom left corner is another box which has several features. The first is a map that shows where all of the attendees are from. Gwyn loved this feature she thought it was lots of fun to see how far everyone lived from us. Within this box there are also capabilities for note, survey and image sharing.To the right (bottom, middle box) is the interactive whiteboard. This was another favorite of Gwyn's though it did take a little getting used to. This is also where the teacher can share videos and other applications with students. The two bottom right boxes are the chat box and attachment box. All the links to the PDF homework assignments were able to be accessed from the attachment box making it very easy for me to find exactly what we needed each week. Each window can be made bigger for easier viewing as well! And at the very bottom of the screen (doesn't show on this screen shot) are some of Gwyn's favorite interactive options like the raising hand and talking buttons! Gwyn loved the microphone maybe a little too much. I had to give her several reminders that she couldn't interrupt the class unless it was to ask a pertinent question. Gwyn did the course independently for the most part. I was always close by to assist her but she was able to navigate and interact with the class on her own. We did enjoy the program very much and Gwyn did learn a lot about the Middle Ages. She was able to work independently which is a huge plus. The Bridgeway Academy classes are great for all learning styles which is another added bonus. However for an on the go family like ours having to be on a class each week at the same time didn't fit our busy lifestyle. As mentioned above having mobile capability would have been very handy for our family. And personally the $145 price tag for a 9 week course is a little out of our price range. But if you are a homeschool family who is looking for a co-op type program that can be done from the comfort of your own home and a great line of curriculum all planned out for you then I definitely suggest checking out all that Bridgeway Academy has to offer. Gwyn, "I like the course. We learned that back in the times they didn't have toilets. We learned about the black death. We learned about knights and castles. It was a fun course. There were craft projects like building a castle. We had homework. I liked the homework. By the 8th class it was over and I was sad. But I did learn that there was a Magic Tree House website, which mommy says I can get on." Visit the Bridgeway Academy website to view all of the fabulous course options available. The Magic Tree House Social Studies Learning Lab classes are 9 week courses and are $145.00. Click here for more Bridgeway Academy Class reviews from the The Schoolhouse Review Crew.